Weekends are a time to catch up on my Art Journaling. 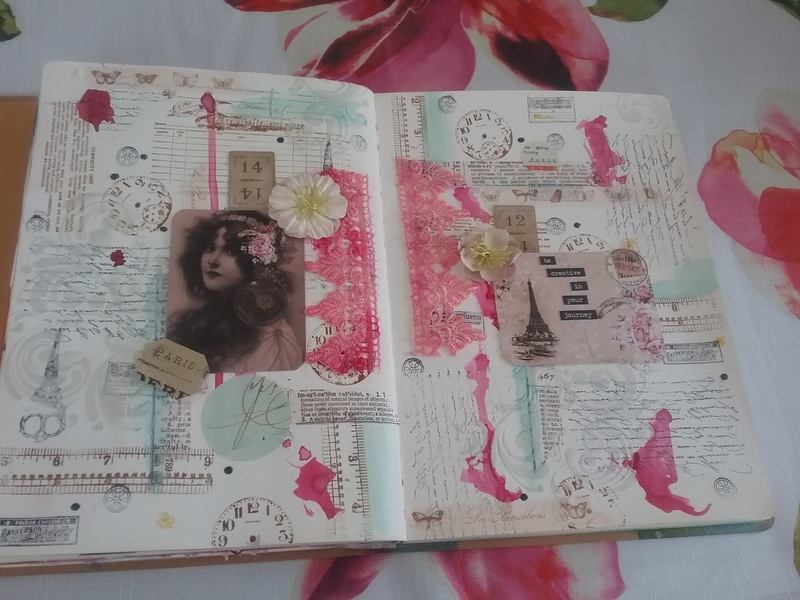 This is my form of rest and rejuvenation for the week ahead. 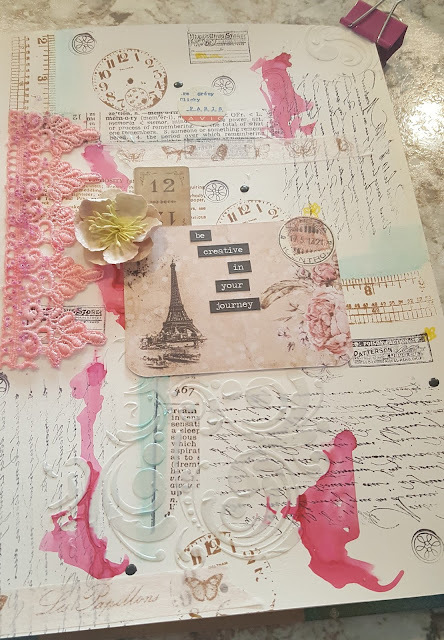 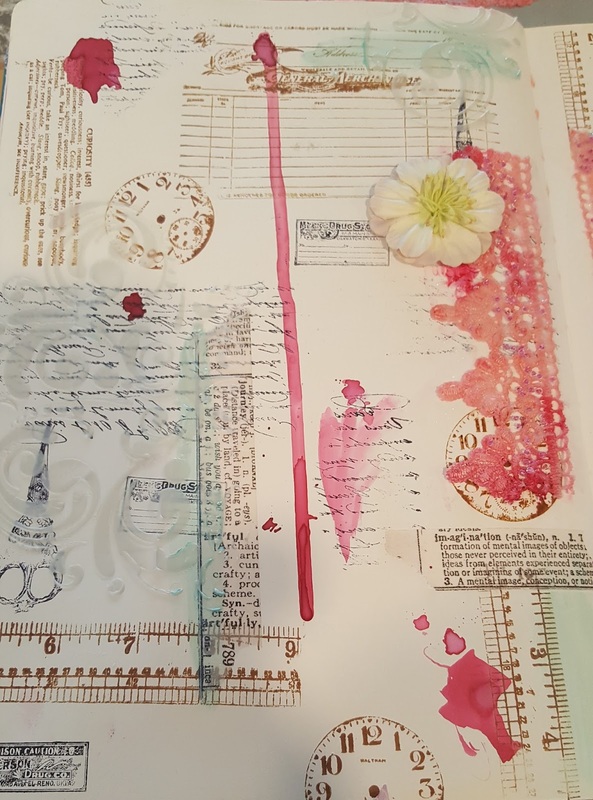 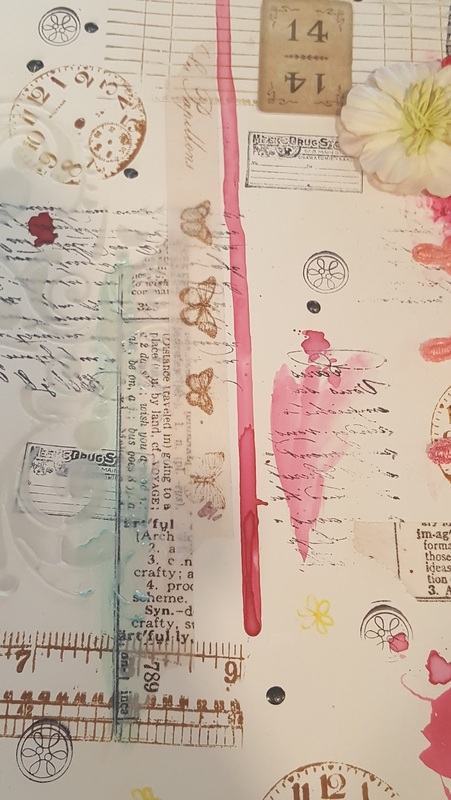 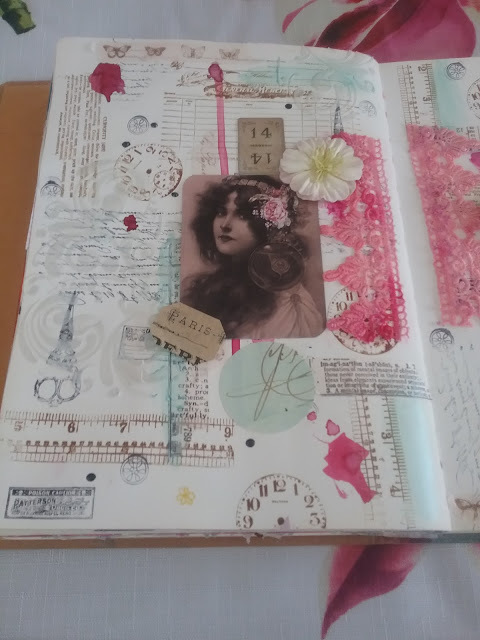 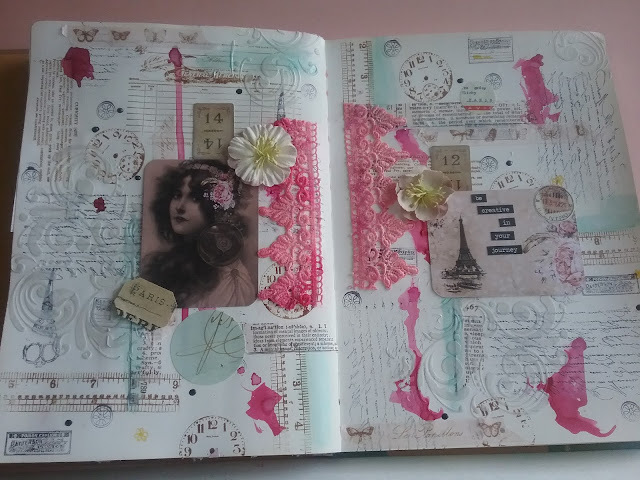 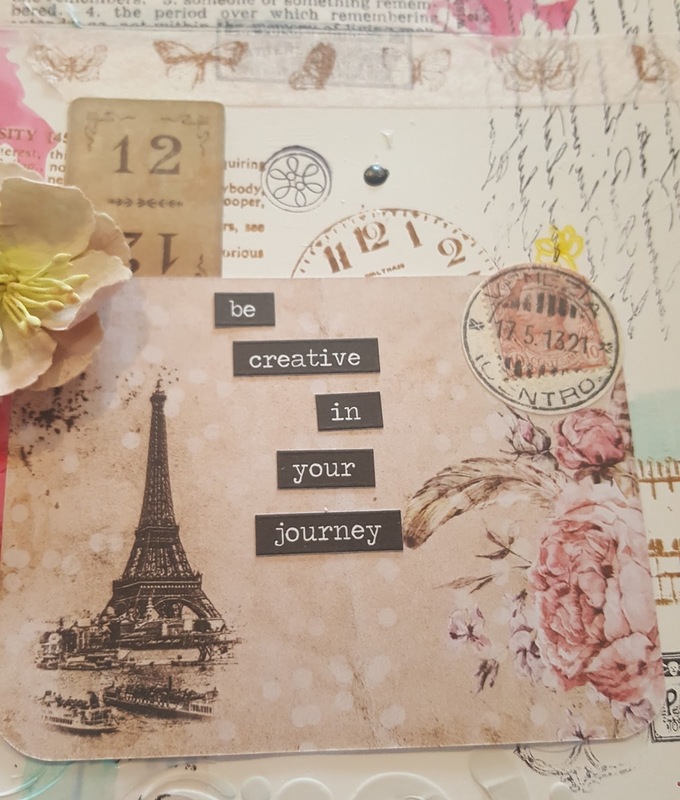 This weekend I was inspired by an art journaling spread in Stampington's Art Journaling Magazine. 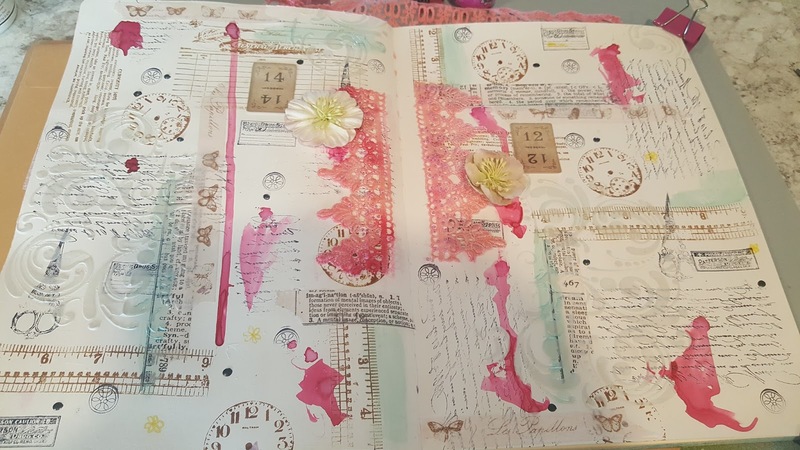 The artist featured in the article is Marta Turska-Grochocka and her art journal pages are amazing. When I'm trying out techniques featured by other artists, I try to use what I have on hand as I don't have ready access to a supply store, the nearest scrapbooking/mixed media supply store being a three hour drive away, so I often shop online. 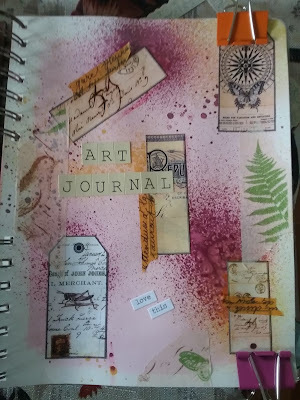 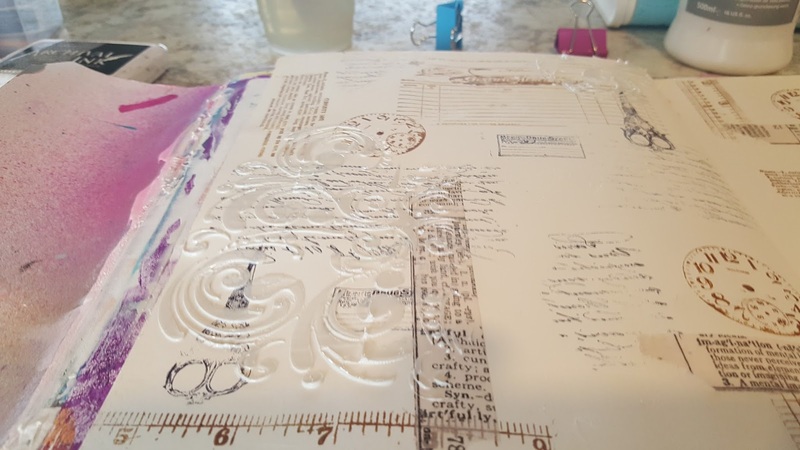 For this art journaling page I used my Dylusions' Art Journal. 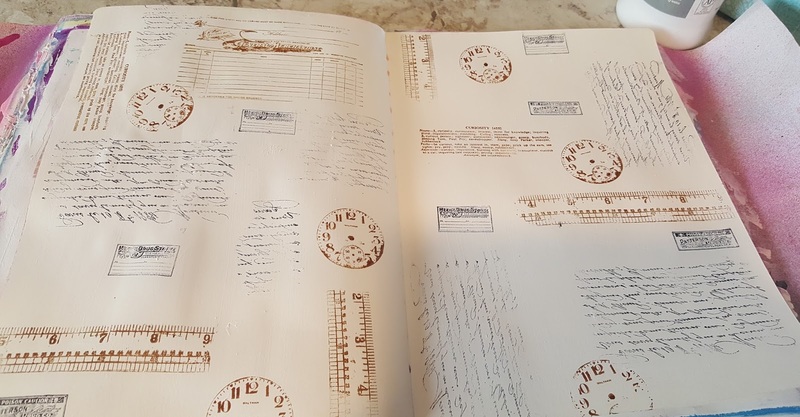 I gesso'd the pages first and then stamped the pages with Tim Holtz stamps and then randomly added some of his tissue tape. 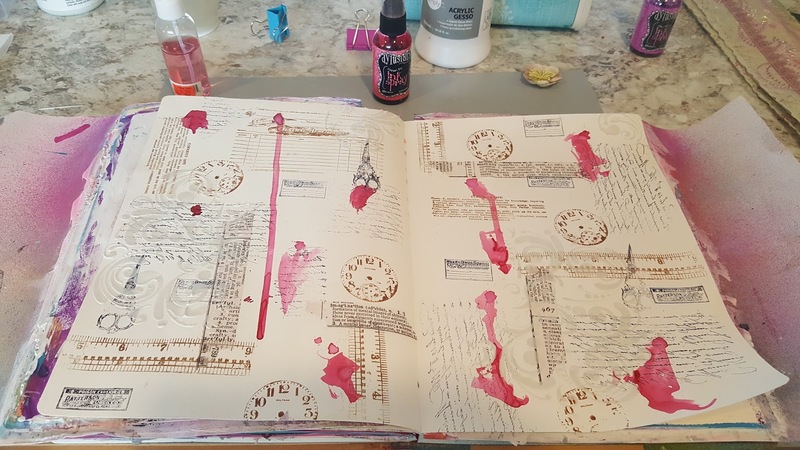 Dylusions Spray Ink in Cherry dribbled on the page brought the details to life. 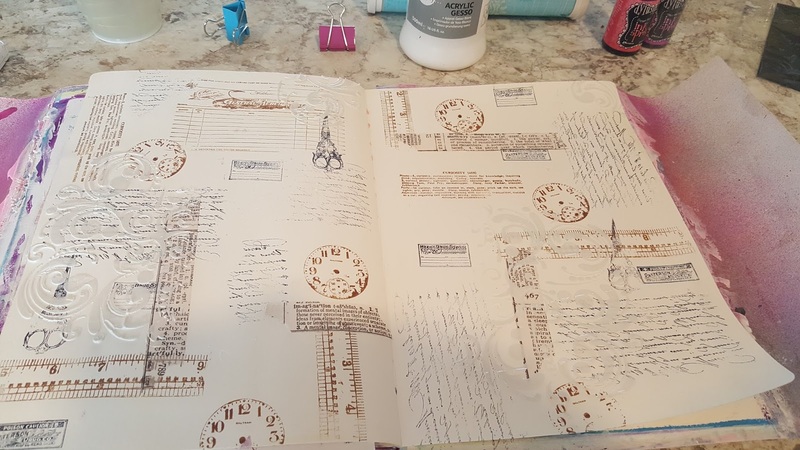 I also added some drops of water to get the ink to move a bit. 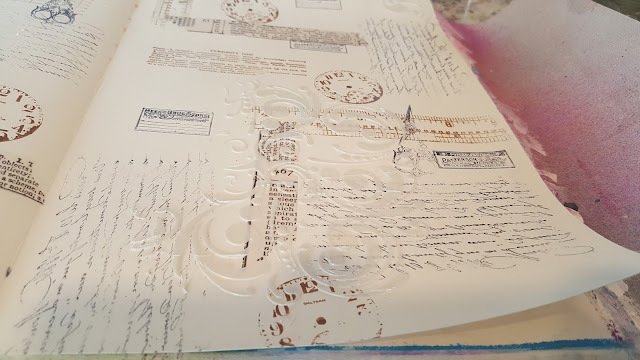 and some Prima Art Alchemy acrylic paint in metallique light patina used sparingly. 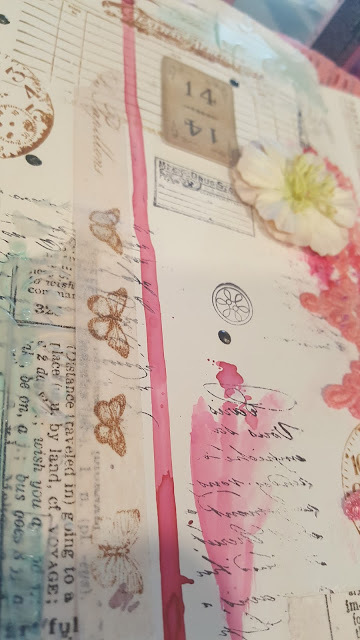 I also added some pale pink butterfly tissue tape. Thanks for stopping in. 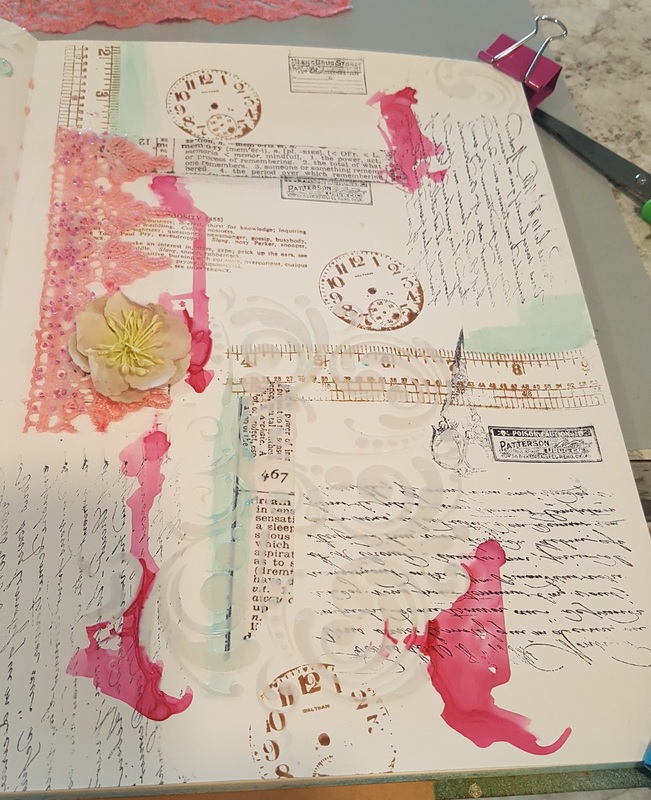 Comments and questions are welcomed.